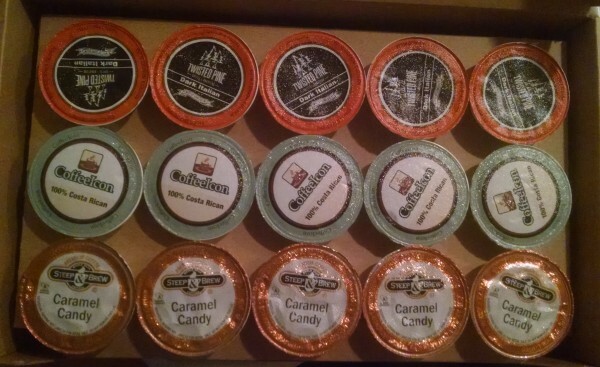 K Cup coffee lovers, have you joined a monthly subscription box service? I am always looking for new single cup coffees to try out. The Single Cup Club granted me a 3 month FREE Subscription to do this review. I have now received two shipments from the Single Cup Club. I am impressed with the quality and flavor of the coffee. I have to admit it’s been a lot of fun trying out these different varieties. My last box will arrive on the 3rd of March and after that I’ll be sad (no more coffee delivery). I don’t like a lot of Caramel things, but my personal favorites were the Caramel Candy and Breakfast Blend coffees. The Caramel Candy was a flavorful coffee. I loved that it wasn’t sweetened. You can simply add your own cream and sugar to it if that is how you enjoy your coffee. February’s box included Twisted Pine (A Dark Italian coffee), Caramel Candy (Medium Roast) and CoffeeiCon (100% Costa Rica Light Roast) . You will receive 15 Kcups in each box and the flavors change every month. The perfect friend in the pursuit of amazing coffee, Single Cup Club is like having your own “guy” in the coffee world. Each month, a box of artisan coffees is shipped right to your door for just $19. You’ll experience three small batch roasted coffees with each month’s box in the convenience of Kuerig compatible single serve cups. 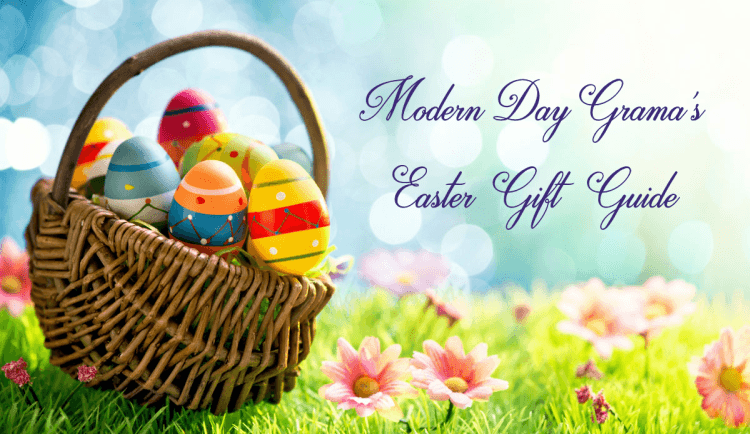 Get 25% off your membership (Gift & Ongoing Membership). It’s the perfect box for the coffee lover in your life, especially if that coffee lover is you! I love being able to stock my pantry with new delicious coffee flavors. I love that there is an affordable way to keep trying new coffees! Plus you can split the cost with a friend and share these awesome coffees! 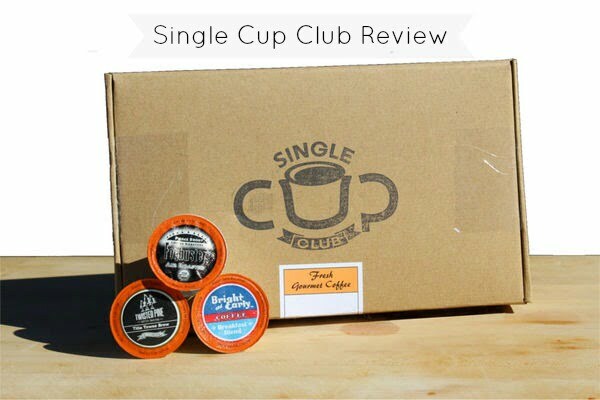 The Single Cup Club hand picks selections of single cups and sends them right to your mailbox. 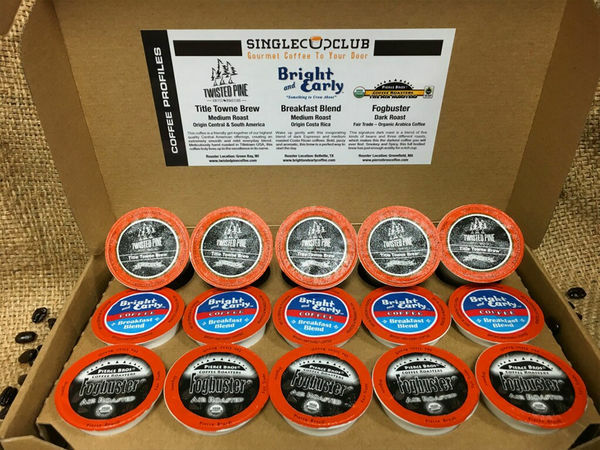 Interested in learning more about ordering from the Single Cup Club? Visit the website here. My readers will also be able to take advantage of a special offer (1st month $9.99) by visiting this link! 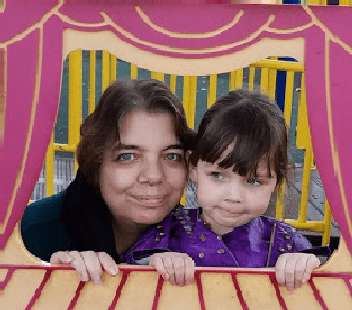 Disclosure – I received a free sample to facilitate my review. No monetary compensation was provided. All opinions are completely my own. My participation is voluntary. 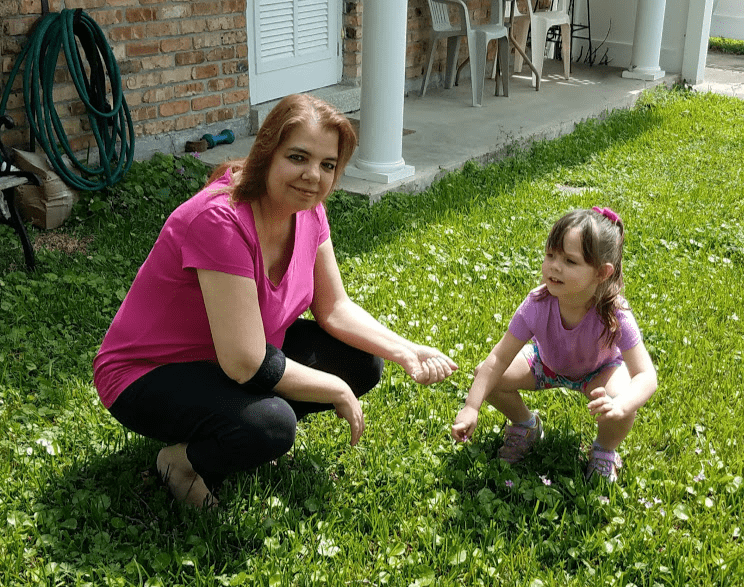 I am disclosing in accordance with FTC 16 CFR Part 255.